With 400 million internet and 200 million active social media users, India is expected to become the largest social media and internet consumption market. With the launch of 4G enabling better internet speeds, Indians are now spending 28 hours a week on their mobile phones. On average, people today are spending between 2-4 hours/day on social media platforms. Brand Idea has always invested in purpose led advertising. It’s earlier campaigns like Caste Wars, Education, No Ullu Banaoing, IIN, Video can change your life have been more than campaigns. Idea’s #MeriRealLife elevates the role of Idea 4G beyond the category conversation to something that reflects its transformative role in people’s lives and society. #MeriRealLife was developed with inputs from mental health professionals from MPOWER, an organization that aims to end stigma and encourages dialogue around mental health. 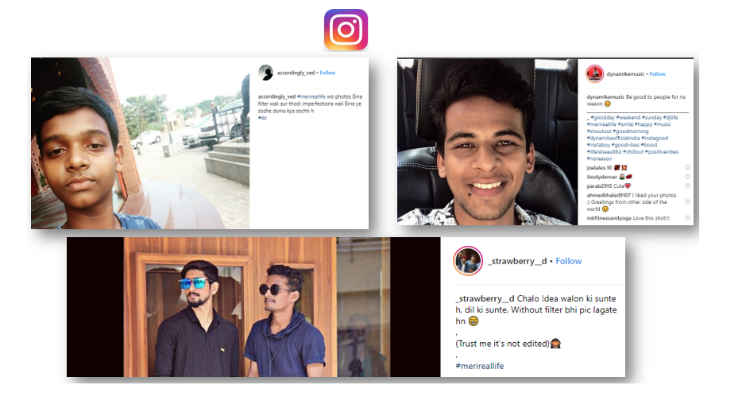 The campaign revolved around the need for validation that people seek from their peers and society which is amplified by social media and has driven people towards living a dual life –a “social life” and the “real life”. Idea believes in propagating a culture of “Responsible use of Social Media”. With this latest campaign, Idea wanted to elevate the role of Idea 4G beyond the category conversation to something that reflects its transformative role in people’s lives and society. Drive affinity for Brand Idea by reinforcing the role of Idea 4G in transforming consumer’s lives, thus establishing “Thought Leadership” for the brand. For the #MeriRealLife campaign, Brand Idea targeted internet users in Urban India – across cities and small towns. When bringing this idea to life, the importance was to drive the authenticity of the message. 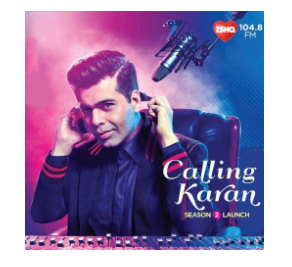 The campaign introduced the concept through the lens of three people who talk about the real story behind their social media stories and videos – a fancy new car, the perfect look & relationship goals. The cast questions the shallowness of this behavior and to what end are we doing this. The film ends with the characters have this moment of reckoning, where they encourage the world to share their real photos and videos with #MeriRealLife. Real Status Updates – A series of posts were shared to showcase the difference between the actual scenario/thought of the person v/s what is posted on social media. The shared social media posts were to amplify of what the scenario could have been but wasn’t. Life on Social Media VS Real Life – (RJ + Expert) week on Heart to Heart with RJ Meera and RJ Neha in association with Idea 4G. Anupama Chopra, the renowned movie critic, and TV show host kicked off a new interview series #MeriRealLife, on her YouTube channel ‘Film Companion’. In her latest show, she chats with talented Bollywood actors like Vicky Kaushal, Tapsee Pannu, Sonam Kapoor and Ayushman Khurrana on their social media experiences and how they tackled the issues they faced. The episode with Taapsee Pannu received 243 K views, the episode with Sonam Kapoor garnered 1M views and the episode with Vicky Kaushal had 681 K views respectively. Facebook continued to be the most active platform, followed by Instagram. Campaign garnered 25.2mn video views across platforms. 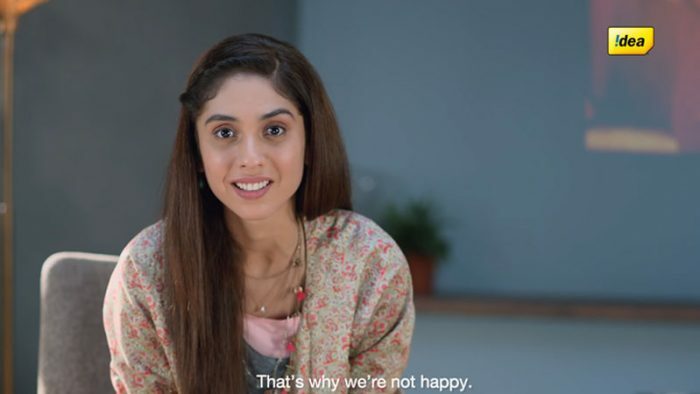 Sunita Bangard, President – Marketing & National Brand Head- Idea, Vodafone Idea said, “With #MeriRealLife campaign, brand Idea wanted to elevate the role of Idea 4G beyond the category conversation and encourage ‘responsible use of social media’. 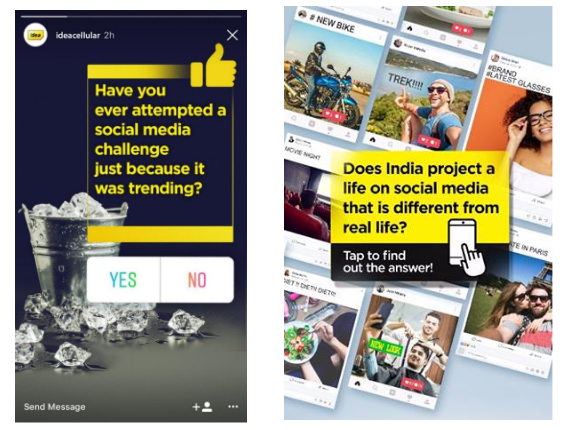 The campaign was aimed to generate an alternate wave of thinking that encourages people to share real, unfiltered stories and drop the pressure of chasing and sharing perfection on social media”.